Again, I want to stress, I’m a celebrant and in no way am trying to be an ‘expert’, I’m simply intrigued by the customs and traditions in funerals and certainly within religions and that’s why I’m also embarking on discovering more about what I do for so many families each week, to maybe find a new tradition or custom that could somehow fit a family I meet in the future who has lost someone they love – and to me – That’s EXACTLY what a funeral is ‘the celebration of someone we love’. We now move into the Discovery side of funerals, many of you understand exactly what a funeral is, but it’s time to search out some of the customs and traditions behind each religion of a funeral. This week’s Funeral Discovery is on Catholic Funeral Customs and Traditions. I was brought up Catholic and always taught at St Aidans, St Agnes and then John Paul II that death is the passing from the physical world to the afterlife, where the deceased’s soul will live in Heaven, Hell, or Purgatory. 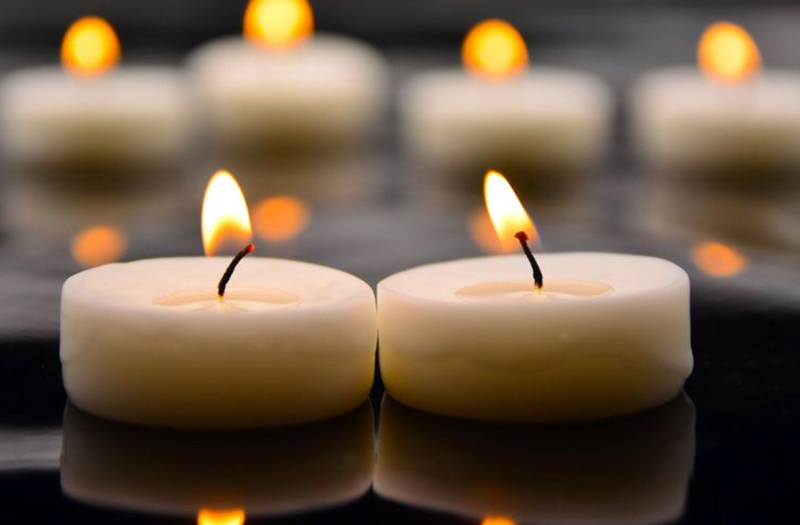 Along with that are many different traditions that go along with funerals when a loved ones dies, let’s take a look at the common traditions in a catholic funeral. Before someone passes and when death is imminent it’s quite common for them to be served ‘The Last Rites’. Who can receive the last rites? The Code of Canon Law provides that the last rites may be given to any Catholic disposed to receive them. They may also be given to baptised non-Catholics “who cannot approach a minister of their own community and who spontaneously ask for them, provided that they demonstrate the Catholic faith in respect of these sacraments and are properly disposed”. If a sick person isn’t baptised, they can request baptism, which acts as “the gateway to the sacraments”. Canon law also adds, “The anointing of the sick is not to be conferred upon those who obstinately persist in a manifestly grave sin”. All of the final sacraments are repeatable. A sick person may request confession whenever he reasonably believes he is in need of it. He may request that Communion be brought to him either daily or weekly; if he is homebound, he ordinarily should respect the resources of the parish in distributing Communion to those who cannot attend Mass. Anointing of the sick may be given again if an illness worsens, or if a patient relapses after regaining his health. You never know when being a Catholic in a public space will offer an opportunity to witness to your faith. When I was about to be wheeled away for surgery, I turned to a Catholic friend who accompanied me to the hospital and asked her to pray a Divine Mercy Chaplet for me during the operation. She readily agreed. Suddenly, one of the nurses who had been prepping me for surgery asked, “Are you Catholic?” I responded, “Yes. If anything should happen to me, please call a priest.” The nurse responded, “Would you like to pray a Hail Mary before we go?” I agreed, and we all prayed a Hail Mary together. It occurred to me later that the prayer was undoubtedly heard throughout the ward by other patients who were being prepared for surgery that day and by their caregivers. Perhaps they too were comforted to hear that invocation to the Blessed Mother, asking her to pray for us sinners now and at the hour of our death. Funeral Masses may not be held on Holy Thursday (the Thursday before Easter), Good Friday (the Friday before Easter), Holy Saturday (the Saturday before Easter), or Easter Sunday. Funeral Masses are also prohibited on the Sundays during Advent (the period starting on the fourth Sunday before December 25 through December 25), Lent (the 40-day period before Easter), and the Easter Season (the 50-day period after Easter). A Funeral Mass may be held on Ash Wednesday (the first day of Lent), though ashes would not be distributed in the church. Though there is some disagreement within the Catholic Church on the acceptability of organ donation, many Catholic leaders have accepted the medical definition of “brain death” and see organ donation as a final charitable act that one may make. Embalming is acceptable in the Catholic faith, and depending on the rules of the state and/or the funeral home that you’re working with, embalming before the Vigil may be necessary. I’ll have a hole other feature on Embalming with one of NSW best mortuary technicians. Historically, the Catholic Church has not supported cremation. However, these days it is acceptable for a Catholic to be cremated. That said, most churches prefer that the body be present for the Funeral Mass, meaning that cremation should occur after the Funeral Mass. Remains should be buried in the ground or at sea or entombed in a columbarium, and should not be scattered. 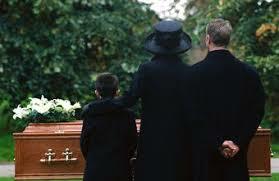 In a “tradition” Catholic Funeral, Eulogies are not delivered at the funeral service, however many Catholic priests will now start a funeral service with a few words, introduce the eulogies and simply wait in the back of the church or in the vestry until these eulogies are delivered and then continue with the Catholic service. 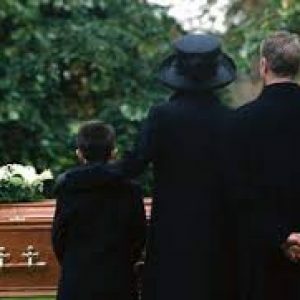 Catholic funerals are held in Catholic churches, though they may also be held in the chapels of Catholic assisted living or care facilities or in the chapels at Catholic cemeteries. Priests lead the Funeral Mass, and may also lead the funeral liturgy (service). If a priest is not available, deacons may lead the funeral liturgy. If a deacon is not available, a layperson with knowledge of the liturgy and traditions may lead the service. However, only a priest or a deacon may delivery the sermon, which will also serve to remember the deceased by incorporating examples from the deceased’s life, if families haven’t requested the eulogy portion of the service to be done by a family member. So, that is pretty much the ‘basic catholic funeral service’, there are a few more traditions but only minor. I love discovering so much about Funeral Services, there is just so much more we can delve into, but we don’t have hours. Next week, a Buddhist funeral service and traditions….I can’t wait, hope you enjoy! There are 0 comment. on "Funeral Discovery – The Catholic Funeral"